Wintering eagles will often scavenge gut piles or unrecovered carcasses, which often contain many small fragments of spent lead ammunition. Since merely a pinhead-sized fragment can permanently debilitate or even kill an adult eagle, the threat to this species is high. 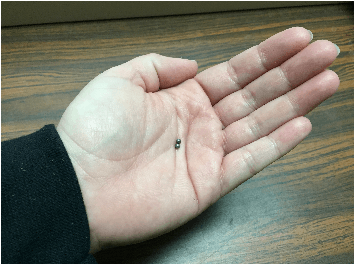 We are working hard to get the word out about alternative bullet-types – and to let curious folks try the ammunition out for themselves at demonstration events throughout the state. Read more about the lead-poisoning threat to Bald Eagles here. Get your Sutton Center water bottle!